Mid-Century modern has been a design style that has stuck around. This year we will be seeing it everywhere. There is a good reason why this design style has maintained its timeless look. It is a clean design style that has no fuss or frills. Furniture in this style is beautiful, simply because form meets function and that can be noticed immediately. Read on to get tips on what to buy and how to accomplish this design style in your home! It is very rare to completely start from scratch. Over time we accumulate good quality items that we want to use. To implement this design style, start by adding a mid-century modern sofa or chair. The key is to mix the silhouettes of the furniture. For instance, if you already have a sectional that is mainly linear with 90-degree angles, mix in a mid-century modern accent chair that has curved edges. The kind of chair to look for is one that has rounded edges and looks like it will cradle the body. This chair also typically has straight steel legs. Changing up a color scheme is the easiest and most effective way to transition into this particular design style. Start with a neutral background. Paint the walls a warm neutral color, like off-white or linen. Update your floor to a classic style by using wood-look tile rather than wood flooring (this will keep the floor in beautiful shape and is nearly maintenance free). Add selections that are also in this warm neutral tone. Then add a few brightly colored accent colors what pop out amongst the neutral background. Switch out dressy or ornate picture frames, for clean lines and white matting. Letting the actual art be the star of the show is always an effective strategy to take. Fussy or adorned frames take attention away from the actual artwork. For this design style select black, white, gold, brass or silver frames. Choose white or black matte; whichever looks best for the particular art. Showcasing art in clean, linear frames will further enhance the style of mid-century modern. Light fixtures that have round shades or several orbs give off a clear mid-century modern vibe. These fixtures are interesting and add some round diversity when many pieces are straight and linear. They also provide an architectural look; which is always appreciated. Mid-century modern is a design style that can incorporate other traditional styles throughout history. It is perfectly fine to pair mid-century modern furniture and accents with other historical design styles. Typically it is a pleasant balance when mixing one style with this modern look. It is attention grabbing and interesting! 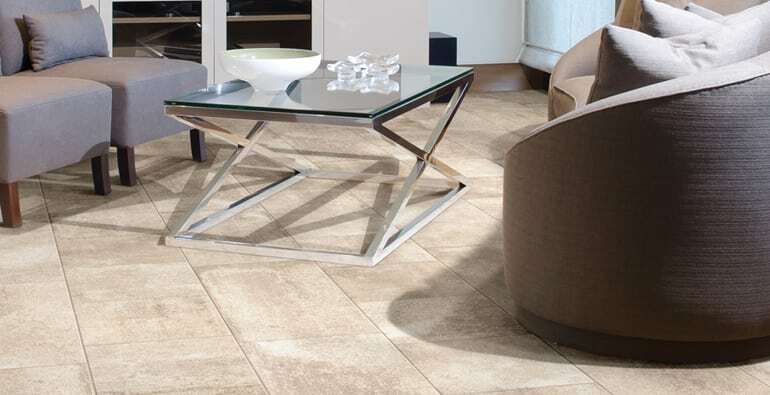 We are happy to help you achieve your goals with this style — visit Conestoga Tile today!